Total water use in the United States declined markedly in the five-year period ending in 2010, according to data released from the United States Geological Survey (USGS). Total water use in the U.S. is now lower than it was in 1970, despite continued population and economic growth. The Pacific Institute analyzes and explains the factors contributing to this positive news, while including a cautionary note, in a new report released today. 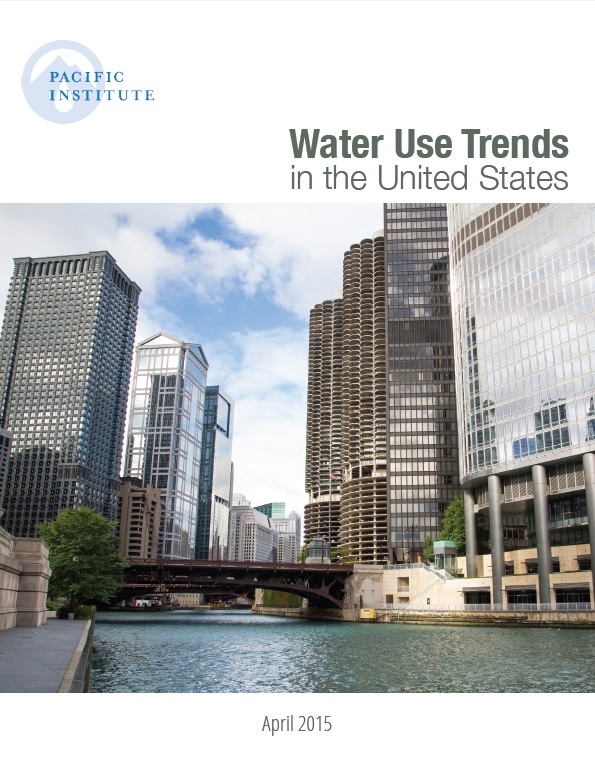 The Pacific Institute, an internationally-renowned independent think tank focused on water issues, reviewed the USGS’ most recent data collection, along with historical, national water use data. Remarkably, water use in 2010 was down in all sectors – agriculture, municipal and industrial, and thermoelectric power. The Pacific Institute’s new report shows that reductions in water use for thermoelectric power generation – the single largest use of water in the U.S. – accounted for nearly two-thirds of the reduction in water use between 2005 and 2010. This represents an important reversal of a 25-year trend of increasing water use to produce energy. In addition, water use for agricultural irrigation was at its lowest level in more than 40 years, even while the number of acres irrigated increased. The report shows that, from 2005 – 2010, per capita water use in the United States declined 17% to 1,200 gallons per person per day, levels not seen since the 1940s and the single largest decline in any five-year period. Moreover, the economic productivity of water – which measures the dollars of Gross Domestic Product per unit of water used – increased by 20% during that period to an all-time high of $11.49 per 100 gallons, an indication that the U.S. produces far more wealth, with less water than at any time in the past. While these trends reveal overall improvements in the management of our nation’s water , the current pace of its use is still not sustainable. Continued population and economic growth, along with the impacts of climate change, will strain the amount of water available for a thirsty nation.